John McKee is a qualified Mortgage & Protection Adviser specialising in Equity Release, with Nexus IFA with over 25 years experience. John provides a full recommendation and advice service, offering impartial independent mortgage and protection advice in a personal, friendly manner. John's qualifications include the Certificate in Mortgage Advice & Practice and the Certificate in Equity Release. For most people, buying a home will be the largest single investment they will ever make, so choosing the right mortgage is also just as important as choosing the right property . John offers a no-obligation, face-to-face initial appointment in the comfort and convenience of your own home, at a time that is convenient to you. He will explain the different mortgage options available at a pace you feel comfortable with. As Nexus are not tied in to any lender our Advisers are able to recommend a solution tailored to your own individual circumstances, searching through a comprehensive range of mortgages from the whole market, to find the best one for your needs. We also have access to mortgage products at exclusive rates not found on the internet or on the high street. Clicking the calculator links above opens a separate browser window or tab to an external webpage not part of this FCA regulated website. Buying your first home can be both an exciting experience and, as your first large financial commitment, a daunting prospect. We can help you navigate the path to home ownership without losing your way with the number of mortgage offers available. Purchasing another house and moving home is always a stressful experience, but the hassle can be minimised by being as well prepared as possible. Seeking expert advice can take all the hassle and stress out of choosing and arranging the right mortgage. When remortgaging getting expert unbiased advice can be crucial in finding the most suitable mortgage deal out of the many remortgage products available. Many of these may offer a free valuation and/or free legal fees, while others also have no arrangement fees. For any Buy to Let* investor ensuring you get the best value mortgage is a key concern. So whether you are an experienced landlord with a large portfolio or looking to make your first Buy to Let investment, why not arrange a free initial consultation to discuss how we are able to help. We are able to help company directors and the self-employed find the most suitable mortgage given their particular circumstances. Maybe your company is relatively new without many years of accounts, or you work on short term contracts, or have irregular income levels. 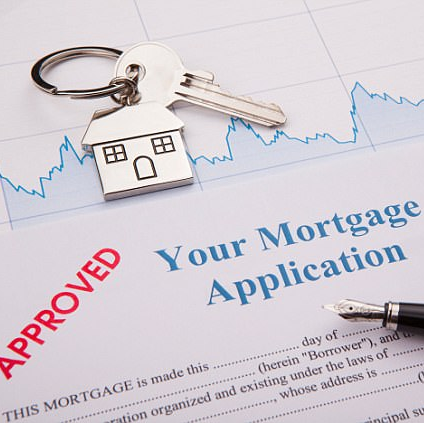 We have access to lenders that specialise in these type of mortgage applications and will advise you on the most suitable mortgage available for your circumstances. If you are looking for clear impartial mortgage advice in Peterborugh or surrounding areas, then get in touch to arrange a free initial consultation. *Some forms of Buy to Let mortgages are not regulated by the Financial Conduct Authority (FCA). Please Note: Some forms of Buy to Let advice are not regulated by the Financial Conduct Authority (FCA). Have you ever thought about how quickly your life and circumstances can change? It is a common misconception that the State will look after us from cradle to grave. The truth is, if you or your loved ones become reliant on state benefits, your standard of living and lifestyle might suffer, and you could even end up losing your home. When buying your own home, it's important to ensure that you have the right financial protection in place as well. John McKee offers independent advice that will enable you to protect both your home and your loved ones in the event of sickness, death or serious illness. He will not only help you to understand why this is important, but will also explain your options and how protection products can be used to protect your loved ones and lifestyle in the event of unforeseen circumstances. What are Financial Protection Policies? There is a bewildering range of different financial protection policies all with different options available. Expert advice is invaluable in helping to design a protection solution that meets your individual needs as well as your budget. Life Insurance is a simple contract that provides either a lump sum or a regular income over a specific term. The contract can be written on either a joint or single life basis. This type of cover is usually used in the event of the death of a breadwinner, and will cover debts, or provide dependants with a regular income or lump-sum to invest. 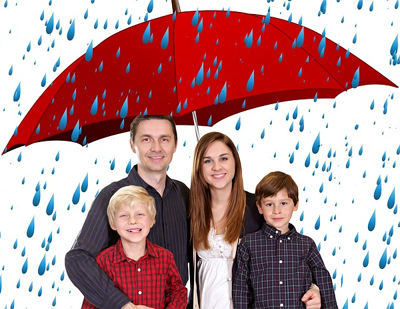 Family Income Protection Benefit insurance protects the policyholder’s family by ensuring that they have a regular monthly income in the event of the policyholder’s death or diagnosis of a specified serious illness. Income Protection provides a replacement income should the policyholder be unable to work due to sickness or an accident. Typically, policies will cover up to 75% of your income after a specific period of not being able to work, i.e. deferred period of one month, three months or six months. These policies will normally continuing paying out until you return back to work or retire. Critical Illness Cover pays out either a lump sum or regular income should the policyholder be diagnosed with a specific critical illness which has been pre-agreed from a list, and which occurs in a specific period of your life. You do not have to die from the illness to receive the payout. This type of policy can be useful for covering debts such as your mortgage or providing short term cover for illness. Mortgage Payment Protection Insurance, or Accident, Sickness and Unemployment cover (ASU), are short term, time limited, income protection policies, that will only pay out for a set period (from a few months to a couple of years). This kind of policy is particularly useful if you are concerned about how you'd cope financially in the event that you lost your job through redundancy, or were unable to work while you recovered from a serious accident or ill health. The cover you take out can be specific to a debt or mortgage amount so that repayments will continue to be made for the period of time covered. All the employees of a business are important, but the death or serious incapacity of a director or key member of staff can have a devastating effect on a smaller business which might rely on that key individual to keep it running. There are several different types of policy available, with an array of options to cover various circumstances, but a Keyman policy for example, can provide a cash injection to a business in the event of the 'loss' of a key person. This money can then be used to hire a temporary replacement or to help cover a loss of profits until a new person is in place. Nexus IFA Ltd are an Appointed Representative of In Partnership the trading name of The Whitechurch Network Limited which is authorised and regulated by the Financial Conduct Authority. The information contained within this website is aimed at UK residents only. Copyright © 2018.